Ever wish you had a screwdriver that had a blue light on it and was featured in Dr Who? I sure did, so I made one for Halloween. It was very simple because I focused only on having a blue light on an otherwise metallic silver tube; that was the extent of my requirements to make the screwdriver. 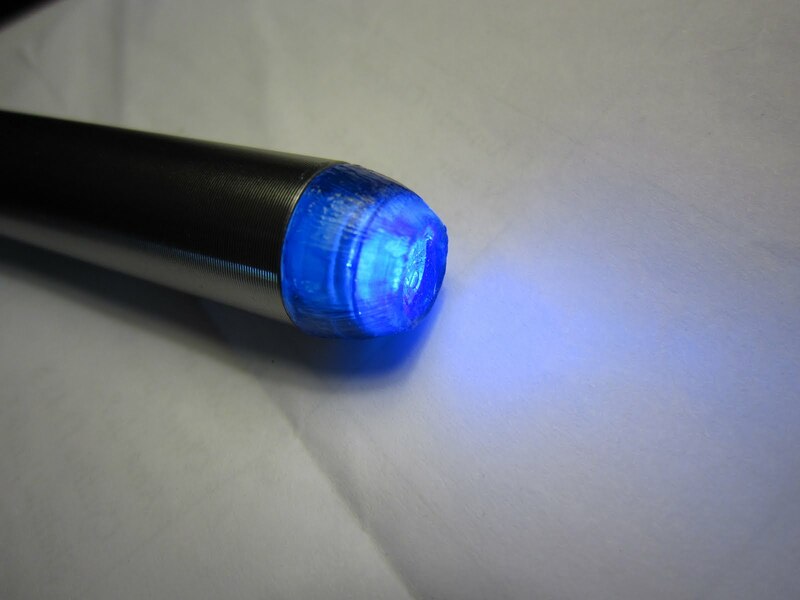 Because you can see the blue of the sonic screwdriver from the side, the clear plastic end of the flashlight needed to protrude beyond the casing. I at first assumed I would have to build this somehow, but then found a RAYOVAC pen light that actually fit the shape perfectly. I had previously purchased some glass paint (it's cheap!) 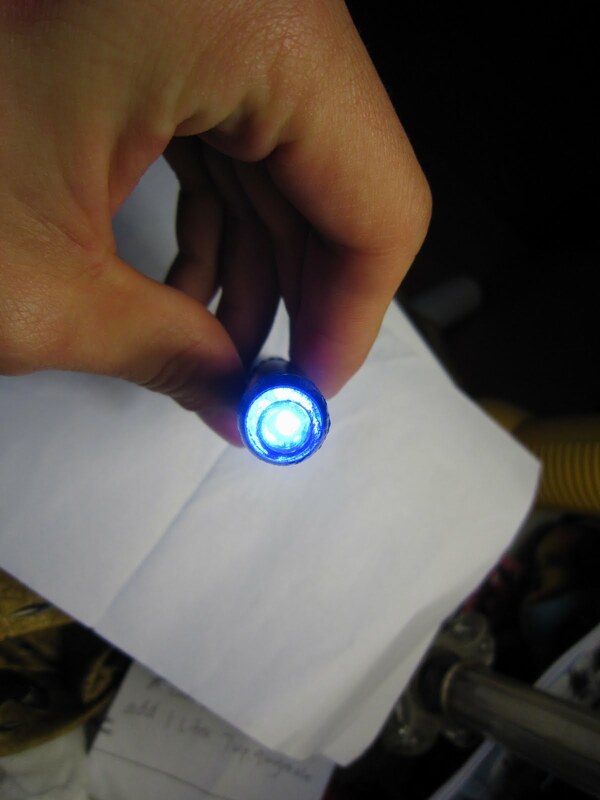 for arts and crafts, and I figured it may work to paint it onto a flashlight. This turned out to be correct. A layer of blue glass paint later and I was in business. 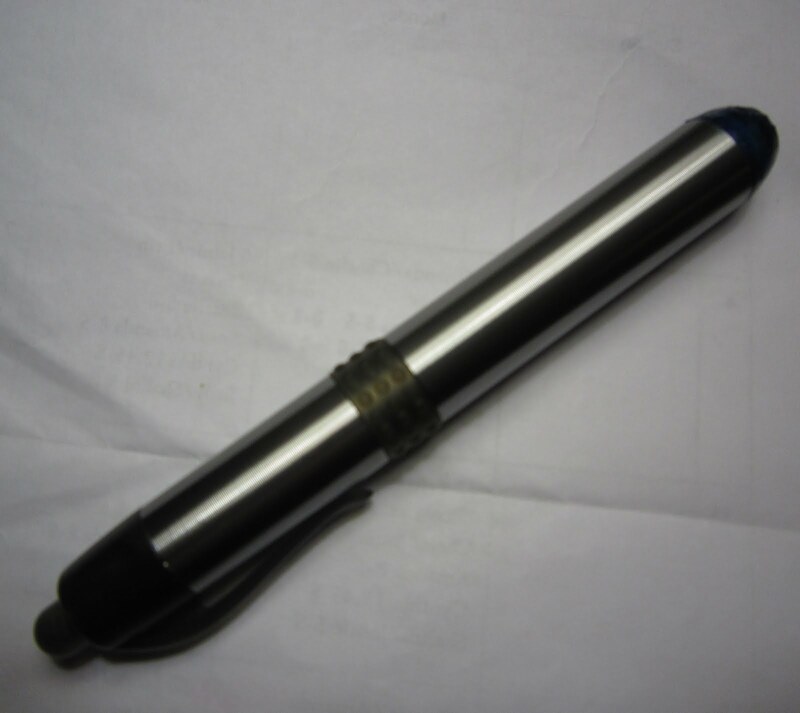 I should note that the pen has an LED light, which means no risk of the glass paint being exposed to too much heat. The glass paint is very fun stuff. You can make fake stained glass, or decorate dishes in strange ways, and as I learned it works fine on plastic as well.